Penn Yan Central School District students in grades 7-12 interested in playing a Spring Season sport MUST sign up online at www.familyid.com. Students can pick up website instructions in their Physical Education class. They should be registered online by Wednesday, February 27th. They MUST have a current Sports Physical Examination within the last 12 months or they will not be permitted to practice, try out, or participate in any way. IF STUDENTS DO NOT SIGN UP, THEY WILL NOT BE SCHEDULED FOR A SPORTS PHYSICAL AT THE SCHOOL. 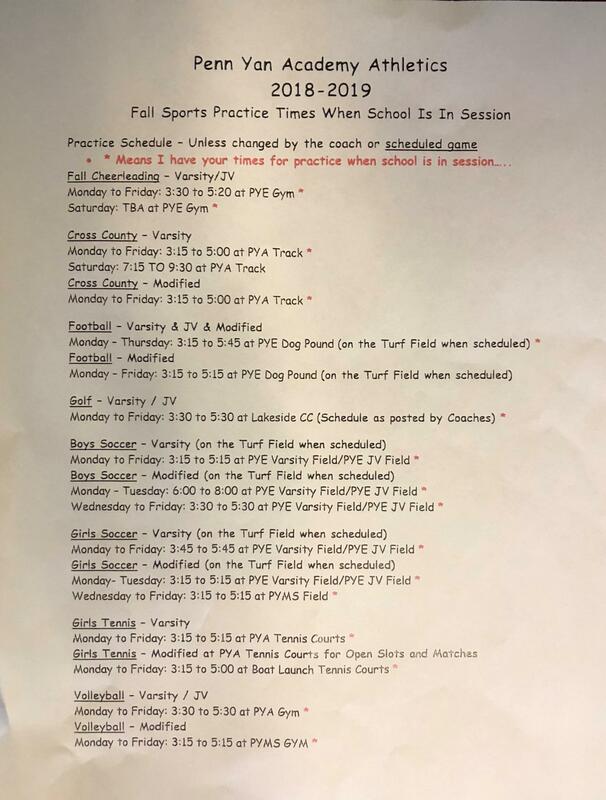 The Sports Physical Examination may be done by the school doctor, or students may go to their own doctor and give a copy of the physical to the school nurse by the first day of practice. Mandatory Parent/Athlete/Coaches meeting will be in the Penn Yan Academy Gymnasium on Thursday, February 28th at 6:30. 1st Practice/Try-out dates: Varsity 3/4; JV 3/11; Mod 3/25.